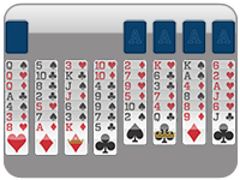 The freecell games just keep coming at 247 Freecell! 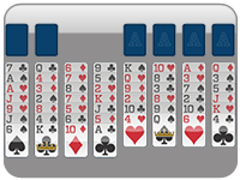 Try this new game, 2 Freecell, which reduces your open moving spots down to only two! Whoa! 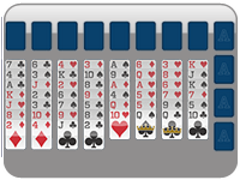 You'll only have two extra spaces to move those cards around in the game to create columns of cards within the game in a downward order King to Ace, by alternating colors, to ultimately put all the cards into the upper spots by suit, Ace to King. 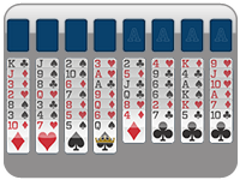 Having only two open cells makes the game much harder, as any seasoned freecell player will let you know. 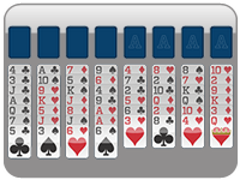 So, don't get frustrated and have fun with Two Freecell! Reduction down to 2 open cells is the name of the game in Two Freecell. 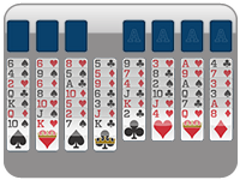 This freecell variation is much more difficult to win. 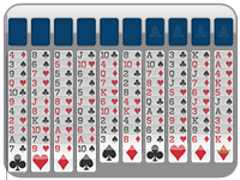 Play this game like classic freecell and move all the cards into the upper slots by suit!